I'm at my parent's house, in Connecticut. Which is odd for several reasons. Mostly, it's odd because it means I sleep in my old bed, in my old room, which I haven't done for a long time. But otherwise, it's odd because I get to dig through all my old boxes of gadgets and electronics projects. 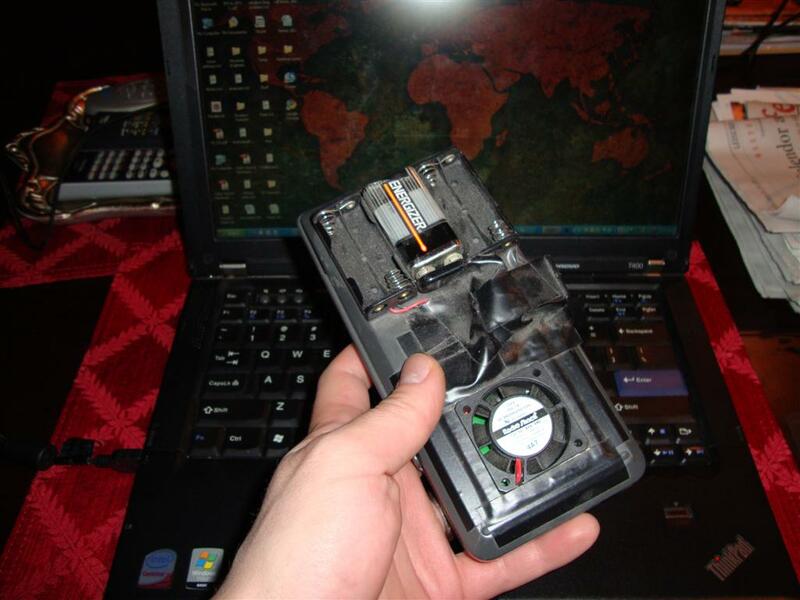 I did, and I found my first hardware hacking project ever, an overclocked TI82. Now I have to say up front: I did this in middle school, so I did *not* know how to read schematics yet. 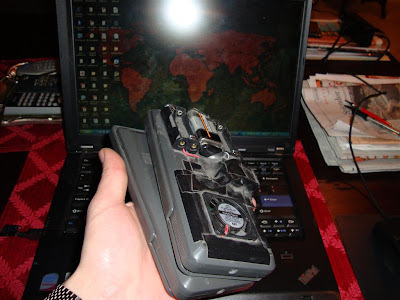 Instead, I only knew how to follow tutorials, and that's how I slowly taught myself electronics. This was my first major undertaking. I followed some great instructions online, which are actually still hosted online! 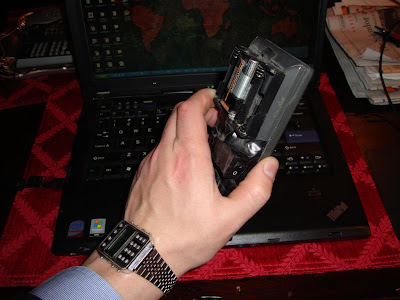 This was perhaps the most pivotal and inspirational tutorial I've ever followed, because it was the first time I'd ever used a soldering iron. 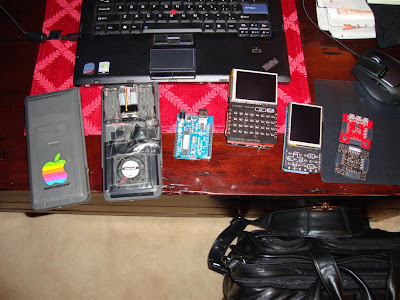 In some ways, I credit Mr. Rich with motivating me to get interested in hardware hacking to begin with. So whoever you are, Rich, thanks a lot! But I digress. I had two TI82 calculators throughout middle school and high school. Who wouldn't? Naturally, I only overclocked one of them, because the acceleration ruined the graphing capabilities (the pixels plotted too quickly and overwhelmed the refresh rate of the display). So I was *that* kid in middle school, and PROUD OF IT, who walked around with 2 calculators. One overclocked for algebra and simple TI programs, and another for graphing. 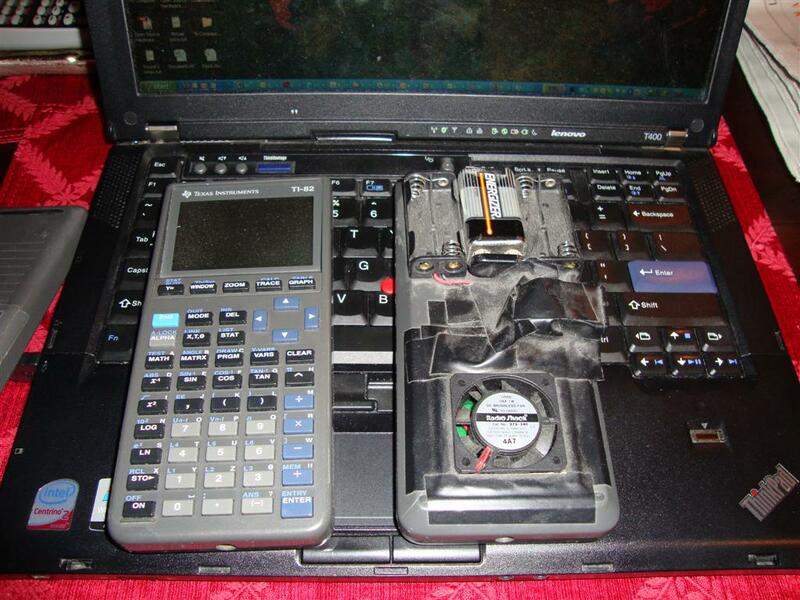 I credit my math teachers, who let me use both calculators on all my math tests! 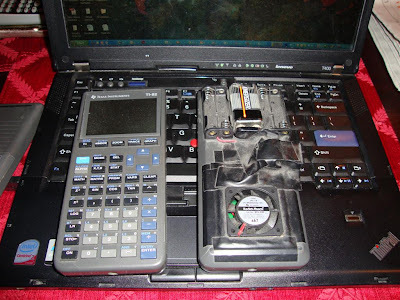 What good is an overclocked calculator if it doesn't have a fan? Exactly. Does it need a fan? No. Does it look 10000 times cooler with a fan? Yes. Am I embarassed about this, years afterwards? No. Two words: middle. school. I should note, that however cool I thought this looked at the time, I can safely say now, this did not net in any additional dates with girls. That's a CFX-200 (of course!) 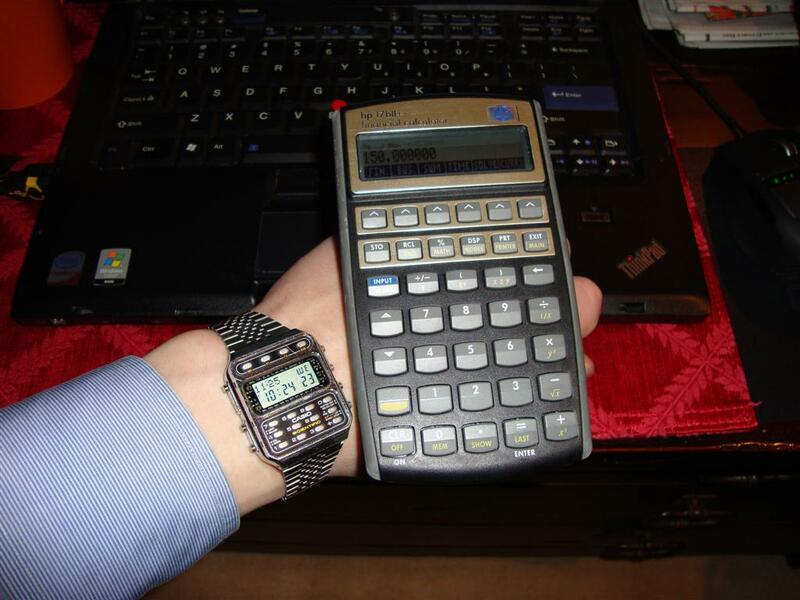 and the powerhouse HP-17BII+, which is the most under-rated calculator in the history of calculators. 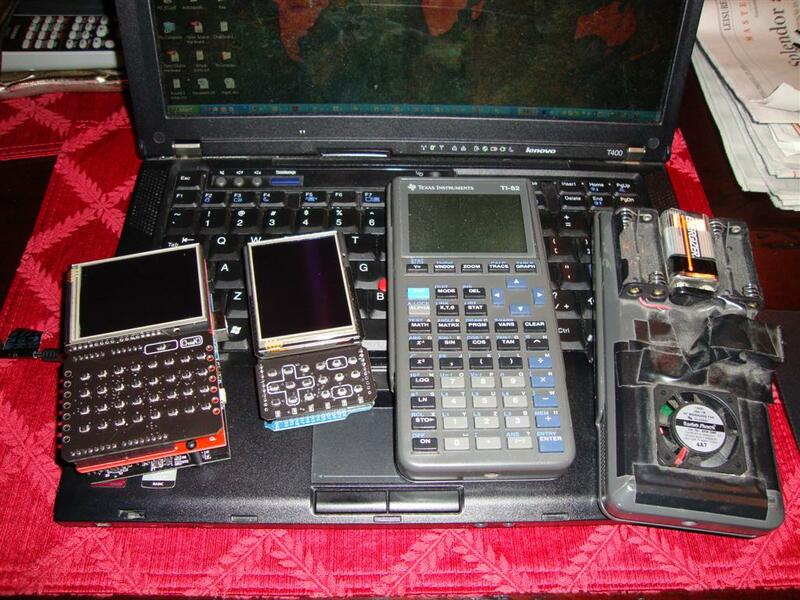 And believe me, I collect calculators, and I have used almost every calculator known to mankind. The secret little trick that no one but me knows is that the HP 17BII+ has this this feature called SOLVE, which is a one-key equation solver, which is fully programmable. BUT! The calculator itself looks understated... it just looks like a normal calculator, so no one thinks you're a super nerd just for busting out a graphing calculator in a relaxed meeting, but then you're like BAM-I-can-factor-primes-instantly-and-reduce-multi-variable-equations-instantly. And then everyone looks at you like you just did it in your head, and you're like, "what, me? no... this is nothing, if you think that's impressive, you should see my overclocked calculator collection from middle school." What's The Best Instant Coffee for Hacking?